Hurricane season has come upon us. It’s been a tough one. And it’s not over yet. Weathering a natural disaster can be difficult for anyone. But it can be devastating and deadly for those with disabilities. Evacuating is difficult. Transportation may not be wheelchair accessible. Shelters are not prepared to handle advanced medical needs. Sign language interpreters may not be available. This article from September 21st’s Washington Post is terrifying. And it barely scratches the surface of what it’s like to be disabled and stranded in a hurricane. That’s where Portlight Inclusive Disaster Strategies comes in. 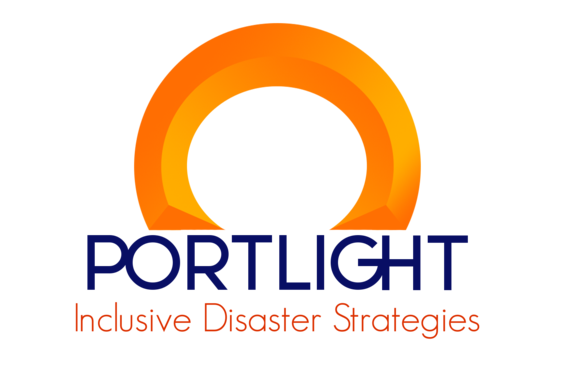 Portlight works on the ground to help those who are disabled during and in the aftermath of a disaster. They also provide workshops to municipalities to ensure that their disaster response includes accommodations for persons with disabilities. Before Hurricane Harvey, I had never heard of Portlight. There website is a little outdated. They don’t have a Twitter account. But what they do well is keep you up-to-date on what they are doing right now. They don’t have a Twitter account either. But when disaster hit, those in the know let the rest of us know, and by the end of August, they were a hashtag. 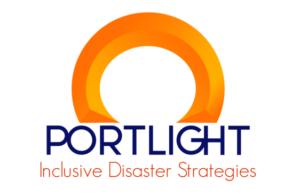 Portlight Strategies – for getting so many people behind you in doing you important work, you get the donation of the month. Please consider donating to Portlight.